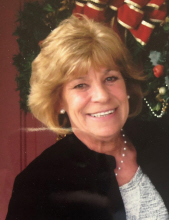 Mary Thompson Age 68 of Glendale, Arizona, died Friday April 12th 2019. She was born to Harry and Julia Liber on October 11th, 1950. She is survived by her husband Paul Thompson, her children Anna (Richard) Johnson, Matthew (Amber) Thompson, Christine (Charles) Adams along with 6 grandchildren. Mary grew up in Morristown, NJ with her family including sisters Susan Liber and Chris Malen and brother Greg Liber. Spending time at the ocean was some of her best memories with her parents and siblings. As a teenager, Mary’s family relocated to Toledo, Ohio where she would later meet Paul. Once married, they quickly started a family and made a few stops along the east coast before making their way to Phoenix, Arizona in 1981 with their three children. During her time in Arizona, Mary became an expert in the landscape supply industry working for a few different companies. When not at work, Mary loved to listen to music and have a glass of wine. She loved trips to the beach and spending as much time outside in the sunshine as she could. She enjoyed getting together with her family, cooking and sharing family recipes. Mary enjoyed watching her children and grandchildren grow and develop. She was very proud of each of her grandchildren with pictures posted everywhere that always made her smile. Services will be held Saturday April 20th at Heritage Funeral Chapel, 6830 W. Thunderbird Rd., Peoria, AZ. There will be a viewing from 1-4 and memorial service 4-5. To send flowers or a remembrance gift to the family of Mary Louise Thompson, please visit our Tribute Store. "Email Address" would like to share the life celebration of Mary Louise Thompson. Click on the "link" to go to share a favorite memory or leave a condolence message for the family.